Thank you for your interest in the Innisfil Funeral Home pre-planning program. We are pleased to provide you with information to assist you with advance planning; we are honoured that you have kept our funeral home in mind. 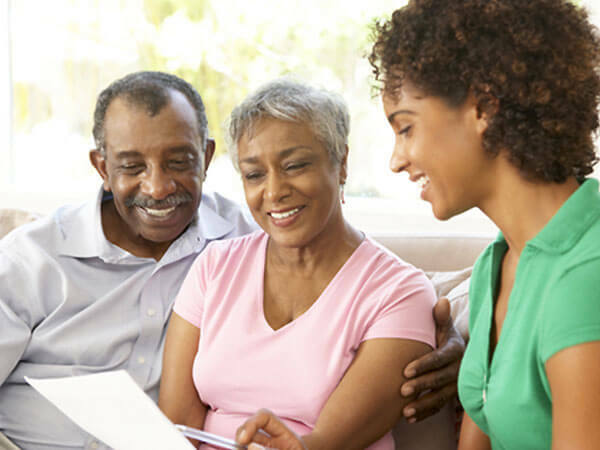 Our Funeral Pre-Planning Program gives people an opportunity to plan the details of their funeral, or of their family member, in advance. These details, along with required Vital Statistic Information, are recorded and held on file until required. Planning ahead allows people to review their options and take the time to carefully decide on what is best for them. Waiting until a death occurs, or even a serious illness, can place added stress on the family. Appointments are not required but are strongly recommended. Pre-arrangements are facilitated by a one of our licenced funeral directors. To ensure there is a director available, you may wish to call ahead. WHAT HAPPENS TO MY PRE-ARRANGEMENT INSTRUCTIONS? Innisfil Funeral Home will type out the specific details of your requests. These details will be held by the funeral home for future reference and a copy will be provided to you for your records. Additional copies can also be provided so that your next of kin or executors are informed of your wishes. It is not recommended that funeral requests be expressed in a Will as often they are not read until well after the funeral arrangements have been carried out. Placing these arrangements in a safety deposit box is also not advised. It is not uncommon for financial institutions to prevent access to safety deposit boxes once the death has occurred. IS THERE A CHARGE FOR ME TO PRE-ARRANGE A FUNERAL? Pre-planning services at Innisfil Funeral Home are complimentary; There is no fee for this service. CAN I PAY FOR MY FUNERAL IN ADVANCE? Pre-paying for a funeral in advance is always an option and never an obligation. Please visit "What is a Pre-Paid Funeral".